Now Google+ has above 10 million members and still growing up. And there are lots of extension are available for Google+ right now, which help you to manage your Google+ account easily. And some Apps which helps you to invite your Facebook friend to Google+. Today now we are here to discuss about the new Google+ app, which allows you to get Google+ notification on your Windows 7 PC system tray. So by the help of that little app GCleint you can get notifications on your desktop and access almost all of the Google+’s features at your desktop. Once you download the desktop app GClient, You’ll need to retrieve a free unlock code by entering your email ID at first start of this app. After the unlocking you can see the GClient icon on your Windows 7 System Tray. 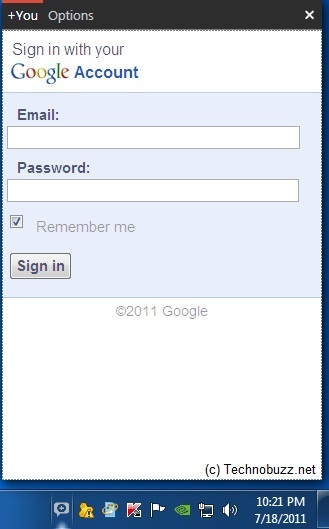 Now Login with your Google+ Login ID and Password to access the full features of Google+ on your Desktop. 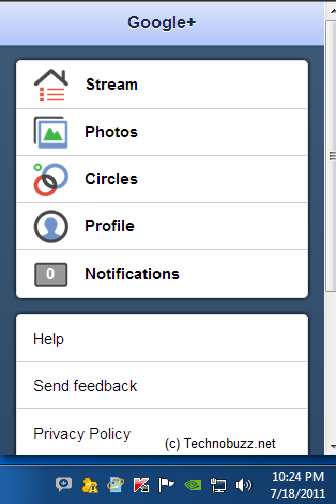 Here you can see your Stream, Profiles, Circle and Photos, so you can access them easily as per your use.